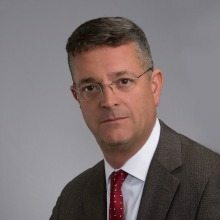 Rockville, Md.-based SAP National Security Services announced Dec. 16 that Ross Ashley has been named the new Senior Vice President of Business and Partner Development. Ashley will be working in the mission-focused areas across key sectors of the national security space. Ashley, a former Air Force Intelligence Officer brings more than 20 years of military service to the position. He also founded and served as the Executive Director of the National Fusion Center Association and served at the Department of Homeland Security. Ashley co-founded The Templar Corporation in 2000 and grew the company to support federal, state and local public safety agencies across the U.S. and Canada.